As active ski mountaineers know, layering is key to dealing with unpredictable weather. This applies to gloves as well. 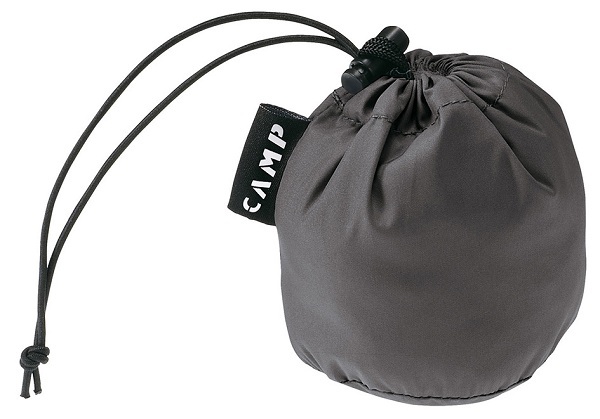 The CAMP Drymit'N is a handy companion for thin and dexterous skimo gloves when it gets colder or you'll be touching a lot of snow. 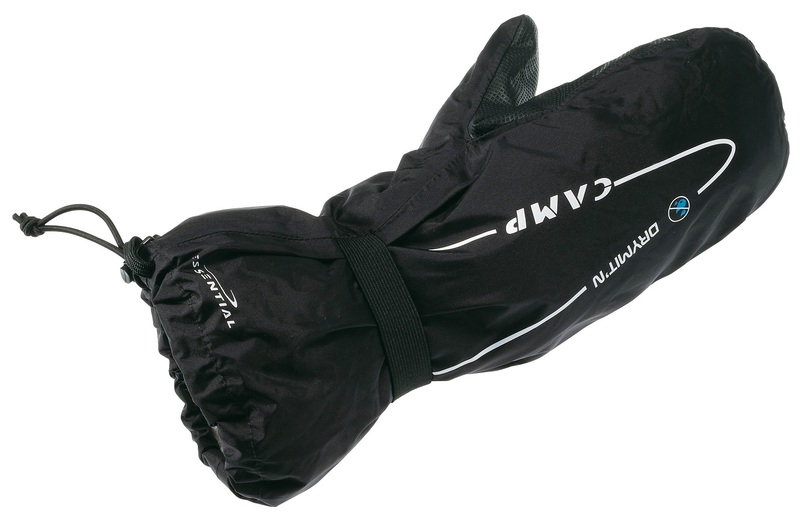 Simply slide the waterproof mittens over your lightweight gloves to give your hands respite from the weather. Shell mittens feature a waterproof membrane and taped seams to keep water out and warmth in. 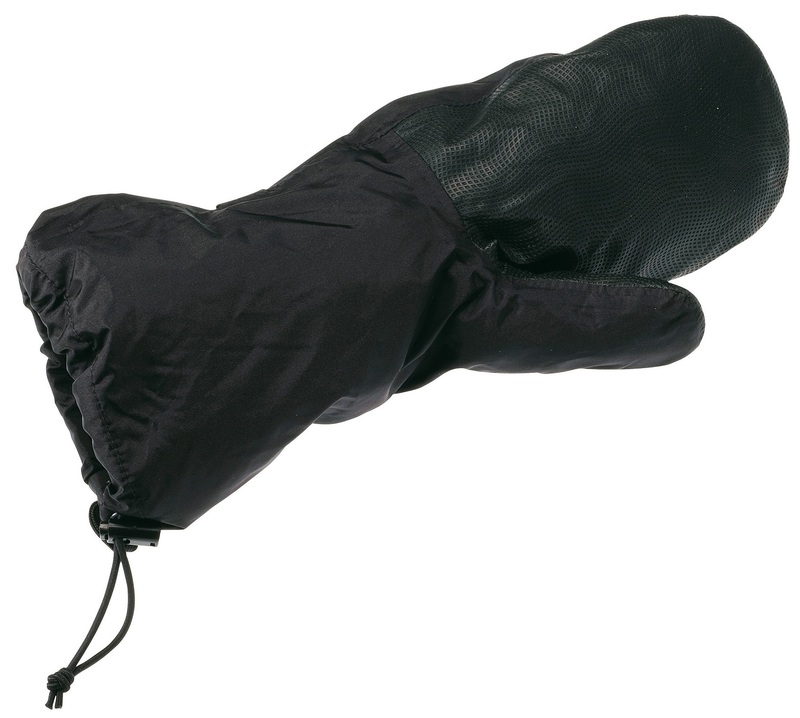 Large cuffs with a drawstring easily slide over lighter gloves and cinch down to seal out the weather. 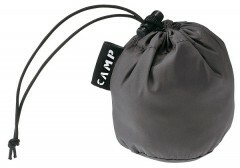 Pair packs down to the size of a baseball if used with the included stuff sack (10g). Comes in Small, Medium, and Large sizes, also known as 1, 2, and 3 for confusion's sake. These mitts are great. Pack up nice and small. Lining is smooth, so they are easy to put on over XC ski gloves with rubbery palms. Great for keeping gloves dry while doing a snow study. Nice to toss on when the wind picks up or when heading back down.